Harry Rentz was a jack of all trades for Severn last season, playing quarterback, running back and wide receiver. The Admirals reached the MIAA B Conference title game. With practice for the 2018 high school football season underway, Varsity Sports Network’s Derek Toney takes a look at the regular season itinerary for select area teams. 2017 review: The Admirals reached the MIAA B final, losing to St. Mary’s. The Anne Arundel County private school return 27 letter winners for 2018, led by all-MIAA B pick Harry Rentz (running back/wide receiver) and John Jarosz (defensive end). Toughest 2018 opponent: St. Mary’s. The Saints beat Severn in back-to-back weeks last season, the latter for the MIAA B title. The Annapolis school return 30 letter winners, including Will Berzins (offensive/defensive line), Grant Hines (linebacker), Cam Brown (running back/defensive end), Charlie Smoloski (line), Tommie McKoy (wide receiver/defensive back) and Cal Hadley (defensive back). Most intriguing 2018 opponent: Avalon School. 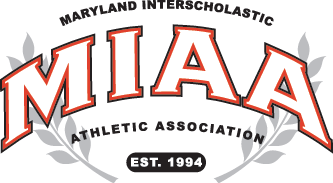 The Montgomery County school has four MIAA programs (Archbishop Curley, Calvert Hall, Loyola Blakefield and Severn) on its schedule this year. The Black Knights have a pair of Division I-AA recruits in defensive ends Khadere Kounta (Old Dominion) and Carlo Jones (James Madison). By a number: 42. Point differential in Severn’s two losses to St. Mary’s to end its season.